Salisbury. Md. — Davis, Bowen & Friedel, Inc. (DBF) announced the addition of in-house Unmanned Aerial Vehicle (UAV) drone services. 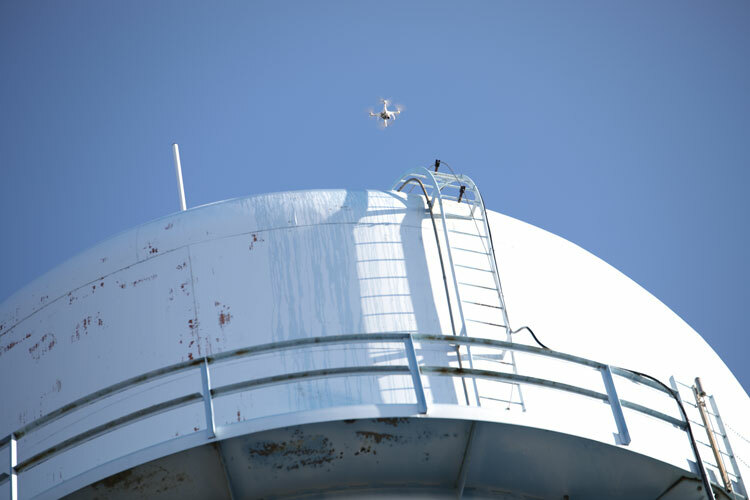 The adoption of the new program will provide for more efficient, safer and cost-effective drone-based aerial data collection, scanning areas of land in a fraction of the time. Using a high-precision, professional grade drone to collect photogrammetric data, the UAV services will offer ample and unique possibilities for clients, including construction videos monitoring site progress, post disaster evaluations, enhanced due diligence reports and more. “The tools, techniques and methods we use to collect data are continually advancing and DBF is embracing that movement. This new service will be an incredible benefit for our clients and our team. We are looking forward to some exciting results.” said Associate Eric Tolley, P.L.S. The new equipment and technology will provide additional reliability, quality and accuracy of survey results, specifically, less obstruction and intrusion to areas of land, better access to hard to reach structures or complex topography sites that are not safe for humans to perform investigations, and instant data processing with enhanced aerial shots for precise assessments. Jessica H. Barnes, a recently hired DBF surveyor, is a Federal Aviation Administration (FAA) certified Remote Pilot. With four years of active duty in the Air Force, Jessica will be leading DBF’s integration of UAV services along with various spotters for an array of potential project flight missions. Davis, Bowen & Friedel, Inc., is a full-service architectural, engineering, planning and surveying firm with offices in Salisbury and Easton, Md., and in Milford, Del. For additional information about DBF, visit www.dbfinc.com.